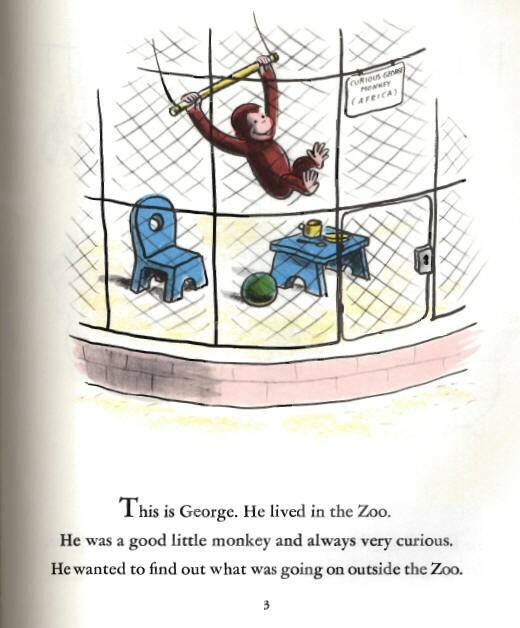 Curious George runs away from the zoo and after many adventures ends up a movie star. 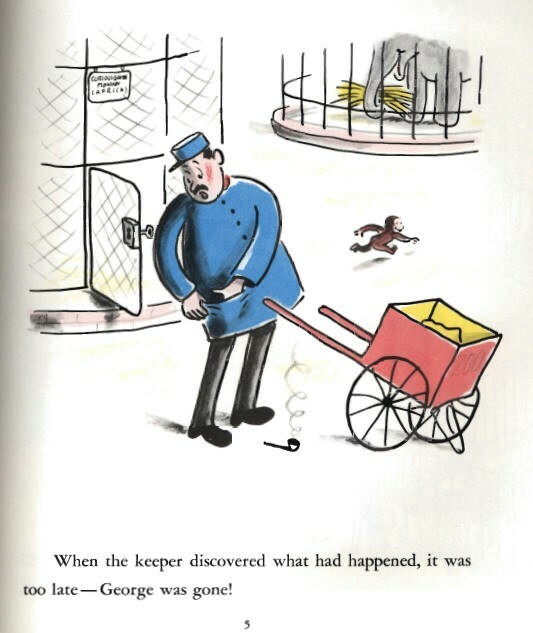 This classic children's book is a delightful tale of a monkey on his quest to find the man in the big yellow hat. 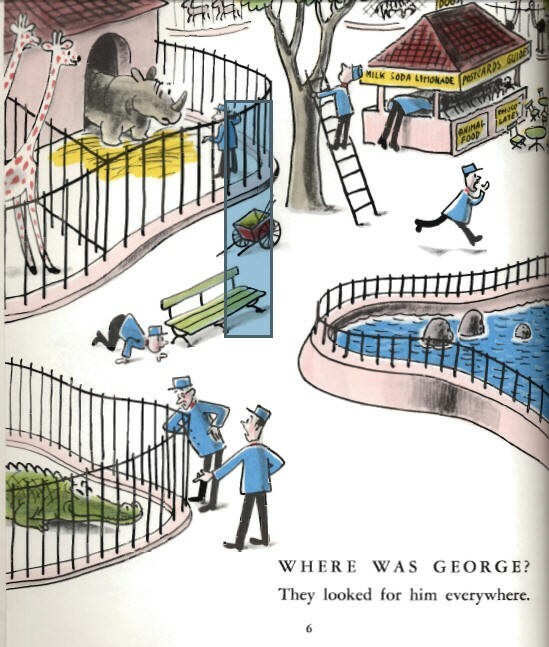 Follow Curious George as he tries to escape from the zoo. There is a turn at every corner. 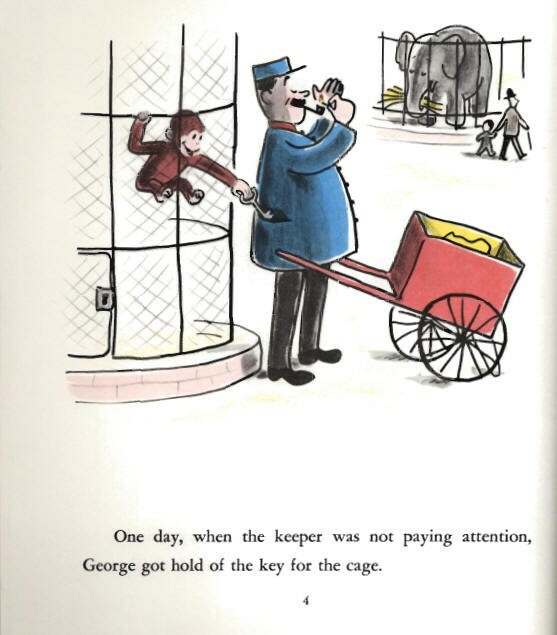 Curious George can't seem to avoid mischief. The illustrations seem to say more than the words. This book is for all ages and is enjoyable whether being read to or reading by yourself. 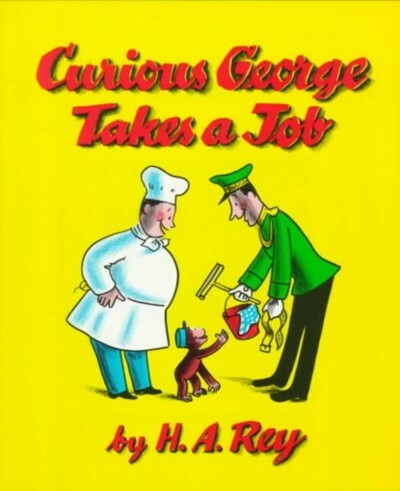 I highly recommend all the Curious George books.